The number of Charlotte treatment centers that help facilitate recovery from addiction. What services are available from different alcohol and drug rehabilitation centers in Charlotte, NC? How to support a patient to pursue sober living in Charlotte, NC? Key facts and figures that demonstrate how extensive the addiction problem is in Charlotte, NC. 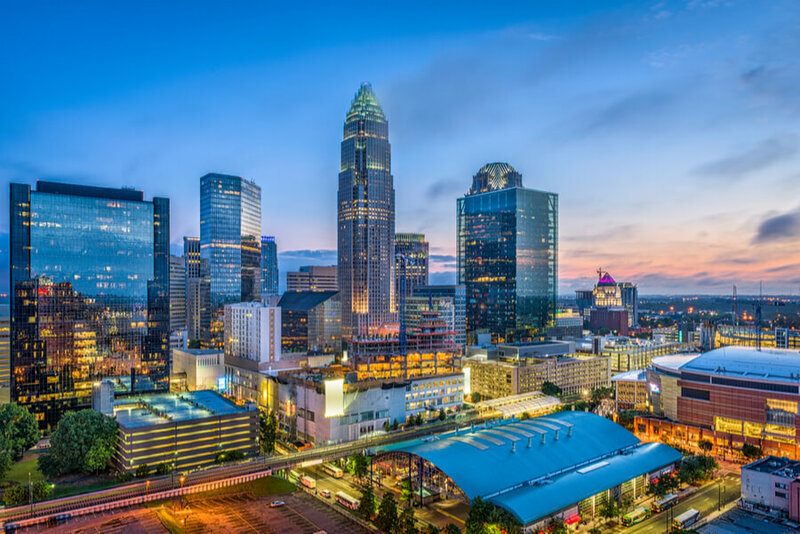 How Many Treatment Centers are in Charlotte, NC? There are currently only 16 substance abuse treatment centers located in and nearby Charlotte, NC that are mentioned in the SAMHSA database. On the other hand, there are only eight mental health facilities within 5 miles of the city capable of addressing the mental health issues often associated with addiction. Nevertheless, at least 26 health centers posing as Charlotte rehab centers that can offer different types and levels of treatment, care, and support for recovering addicts. Many of these health centers are particularly suited to serve specific segments of the population, such as adolescents, victims of crime and violence, and the elderly. A great majority link patients to support groups such as the Charlotte Alcoholics Anonymous (AA). For patients who are addicted to opioids, detox centers in Charlotte, NC will be able to provide the best treatment and recovery services. However, only 29 physicians are certified to administer buprenorphine, a substance used as a substitute for opioids that helps facilitate safe addiction recovery. All buprenorphine physicians mentioned in the SAMHSA database are ready to facilitate in detox in Charlotte NC. There is a wide variety of options available for parents and their families when seeking drug and alcohol rehab in Charlotte NC. This is why many people who have substance dependency issues seek treatment in Charlotte. The NC Department of Health and Human Services has a comprehensive lineup of programs that help address substance abuse which includes prevention, crisis services, as well as treatment services. Admission to any of several halfway houses in Charlotte NC can be the start of winning the fight against substance abuse but, treatment strategies have also strongly embraced lifelong recovery such as with the help of free counseling in Charlotte NC as well as patient links to Narcotics Anonymous (NA) meetings in Charlotte. 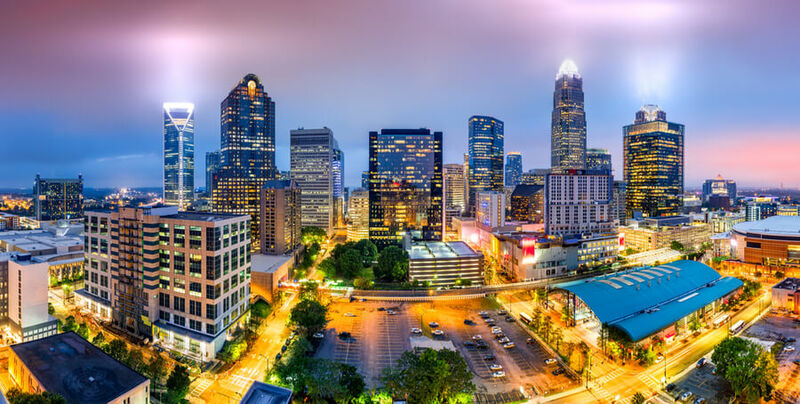 What Treatment Options are Possible in Charlotte, NC? Alcohol and drug rehab in Charlotte NC consists of several treatments, care and support options that can be tailored to suit every possible case of substance dependence. Recovering addicts and their families can select from a wide range of options that differ in many terms such as exclusivity, fees, customizations, boarding, and programs. The state offers free sponsorships for affected individuals to seek proper care and treatment from alcohol and drug dependence, as well as from other forms of addiction from select centers within and around North Carolina. How to Find the Best Addiction Treatment Center in Charlotte? Even when a patient cannot make a decision, his loved ones should be able to make the best decision on his behalf. It is a must to examine all available addiction treatment options before enrolling in any recovery program. The program must not only suit the services that the patient requires but also complement his faith, values, and attitude. Getting a full diagnosis and consulting with a competent medical professional about addiction will help a patient and his family determine the proper course of treatment and recovery. Accreditation by SAMHSA or other medical licenses could be a starting point. These certifications help separate those rehab centers who are adhering to scientifically-proven techniques to treat substance abuse from those which fail to implement well-recognized standards. Are you worried that you or a loved one may be suffering from addiction? Now is a good time to be sure so that recovery may begin immediately. Call (888)-459-5511 to start the journey to a substance-free future. The Centers for Disease Control and Prevention reports that in 2017, there were 24.1 cases of deaths due to drug overdose out of every 100,000 population in North Carolina alone. The figure is slightly higher than the national average pegged in the same year at 21.7%, and with a considerable increase from the 19.7% average keyed in for the state in 2016. There were 1,505 cases of deaths caused by overdose to opioids in 2016 alone. This is according to the summary of the National Institute on Drug Abuse. The same report highlights a magnanimous increase in heroin-related deaths, that is, from only 39 in 2010, the number increased to 544 in 2016. Based on the survey commissioned by the US Department of Health and Human Services, more than a fourth (29%) of the high school students Grades 9 to 12 reported having an alcoholic drink within 30 days prior to the conduct of the survey. Approximately 41% have ever tried marijuana, 5% have ever had cocaine, and 5% have used pain relievers for non-medical reasons within 12 months prior to the survey. For people struggling with alcohol abuse AA Meetings in Charlotte, North Carolina are available. For people struggling with illicit or prescription substances NA Meetings in Charlotte, North Carolina are available.